Have you been dreaming of a new mattress? 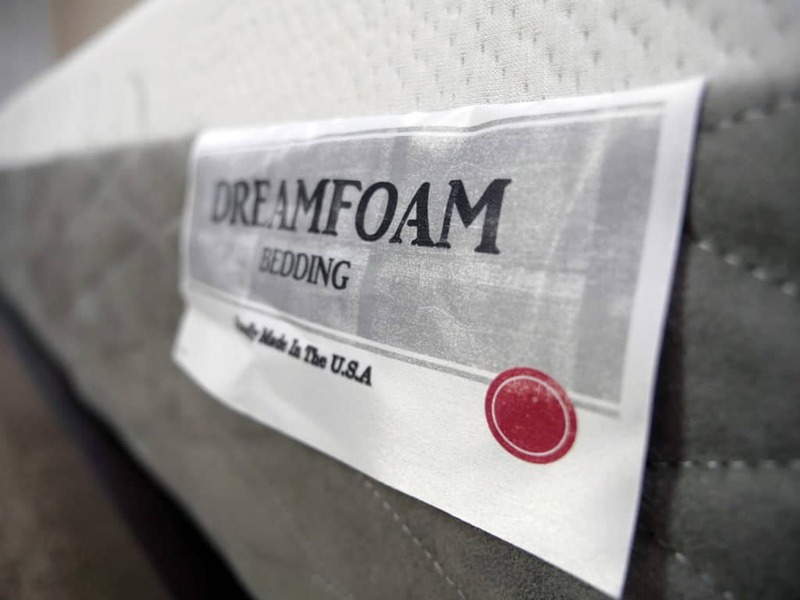 Dreamfoam Bedding, sister brand of Brooklyn Bedding, offers a budget friendly mattress line with numerous different models and material types. 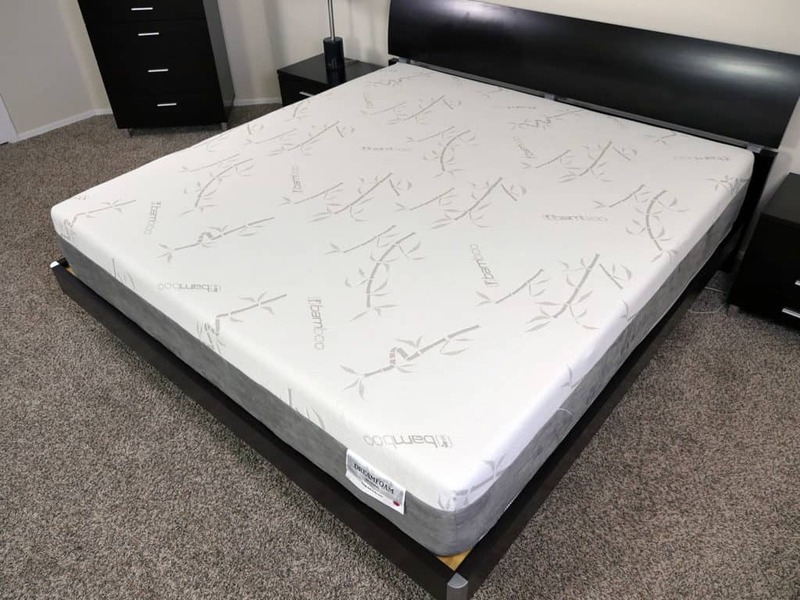 In this week’s review we’ll be taking a look at one of their most popular models, the iPedic Sojourn 12″ Gel Memory Foam Mattress*. *Quick editors note, Dreamfoam recently renamed this mattress the iPedic Sojourn but it was previously called the Ultimate Dreams Supreme. You may find it referred to as either name throughout this review. Continue reading below to find out how this mattress fares in the eyes of Sleepopolis! Don’t have time to read the full review? Click here to skip down to the review summary. The Dreamfoam Bedding Ultimate Dreams Supreme gel memory foam mattress is a 12″ mattress built from 3 separate layers of foam. Top layer (cooling & comfort) – 1.5″ of gel memory foam. This top layer of gel memory foam is designed to pull heat away from the sleeper, helping to maintain a cooler sleeping surface. Additionally, this layer provides the initial soft feel, sinkage, and hug for the sleeper. It has a density of 4.0 PCF (pounds per cubic foot). 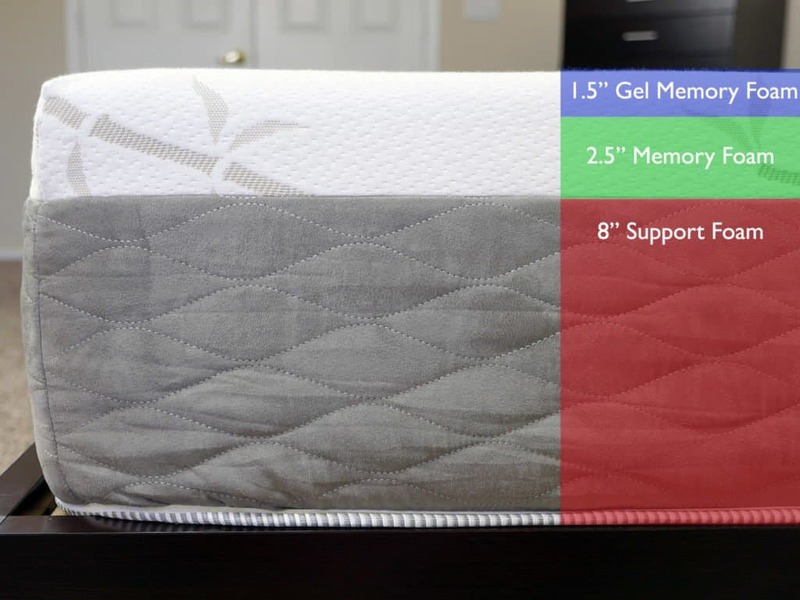 Middle layer (pressure relief & support) – 2.5″ of memory foam. The second layer of memory foam works to provide the pressure relief and support for the sleeper. By placing a thicker layer of memory foam below the top layer, the middle of this mattress is able to offer a smooth transition from the comfort foams to the more supportive base foam. It has a density of 4.0 PCF. Bottom layer (foundation) – 8″ of polyurethane base foam. The bottom layer of this mattress provides the shape for the mattress as a whole by acting as the foundational base and provides a level of deep compression support for sleepers as well. It has a density of 1.8 PCF. The cover of the iPedic Sojourn Gel mattress is constructed with a 4-way stretch bamboo and cotton blended fabric. The mix of these two materials gives the cover a nice degree of elasticity, as well as breathability. In addition, the cover is thin, by design, which helps air flow in and out of the mattress. From an aesthetic standpoint, the cover is simple, but pleasing. The top white piece of fabric contains several bamboo tree images embossed in numerous places. As the white fabric moves down the side of the mattress, there is a smooth transition into grey side panels. The side panels are sturdier feeling, which should help to protect the mattress during setup and moves. The iPedic Sojourn Gel Memory Foam Mattress nails a true medium feel, coming in at a 5 out of 10 on the firmness scale, where 10 is the most firm. When you think of a low cost mattress, you typically think lower quality and mediocre performance. However, I was pleasantly surprised with this mattress. For starters, the sinkage and hug of this mattress was very well balanced. Over the past 2 years I have tested other memory foam mattresses at this 5 out of 10 firmness range (where 10 is the most firm), and noticed the sinkage levels being a lot more enveloping around certain areas of my body. For example, while sleeping on my stomach I experienced deeper sinkage around my hips, which created an uncomfortable angle along the lower half of my back. On the other hand, the Supreme Gel allowed the lighter areas of my body to sink in almost as much as the heavier portions, creating a more well rounded level of hug and pressure relief overall. A large part of this correlates to the comfort layers consisting of only memory foam. By implementing this design, the Ultimate Dreams mattress was able to avoid the support wall that some memory foam mattresses deal with. In terms of support, I felt as if the mattress did a solid job in all 3 sleeping positions. For a majority of the testing process I slept on my stomach and my wife slept on her back. Between the two of us, we had no complaints with regards to support. We’re not necessarily fans of the deeper sinkage and hug, but the support was not an issue. Additionally, as I slept on my side I felt very good pressure relief as well as consistent spinal alignment. Bounce and motion transfer were two other areas I wanted to touch on. As a memory foam mattress, the bounce is about average. 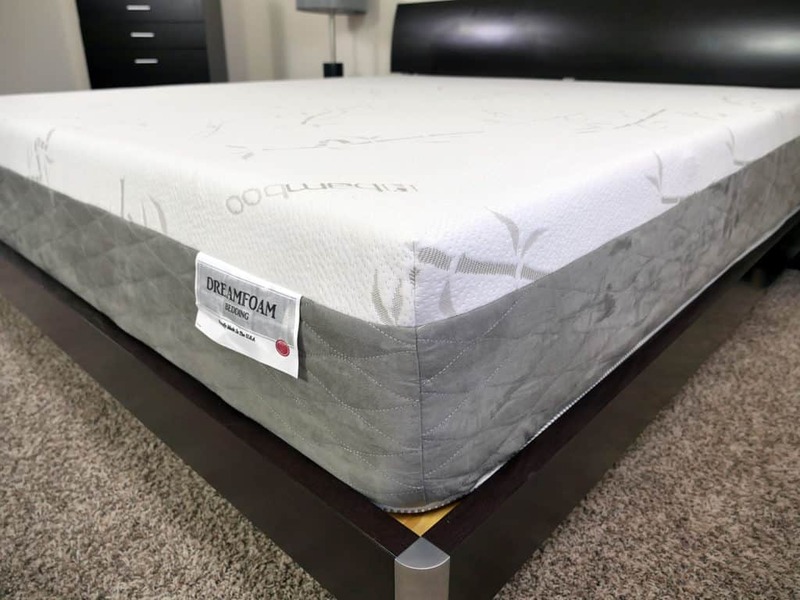 With slower response times, the foam layers are not designed to offer sleepers that elevated level of bounce that latex or coil mattresses provide. Therefore, if you’re looking to improve in the area of amorous activities, this may not be the right choice for you. 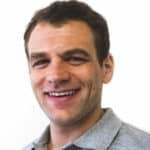 That said, the memory foam does do an excellent job of absorbing energy created by a partner and minimizing the level of motion transfer as a whole. One final note I’d like to make touches on the cooling of this mattress. Although there is a top layer of gel memory foam, 4″ of memory foam comfort layers still have the potential to create a warm sleeping environment. Especially if you are a heavier sleeper who will sink slightly deeper into the foam layers. This may cause more of an enveloped feel, leading to heat build up between your body and the foams. I wouldn’t call the mattress hot by any stretch, but it rides a fine line with this amount of memory foam. If you are a naturally hot / warm sleeper I’d advise against this mattress for you, but if you typically don’t sleep very warm you probably will be fine. All mattress reviews on Sleepopolis go through a short series of sinkage tests. These tests are designed to provide you with insight on how the mattress will perform under various conditions, pressures, and positions. Lying on back – while lying on my back with all of my weight spread evenly across the mattress, I saw 3″ of sinkage. Lying on side – while lying on my side, I saw 4″ of sinkage. Standing in the middle – with all of my weight standing at one point on the mattress, I saw 7″ of sinkage. Who should buy the Ultimate Dreams Supreme Gel Mattress? Want a true medium feel – the Ultimate Dreams supreme gel mattress lands at a true medium, 5 out of 10 on the firmness scale, where 10 is the most firm. 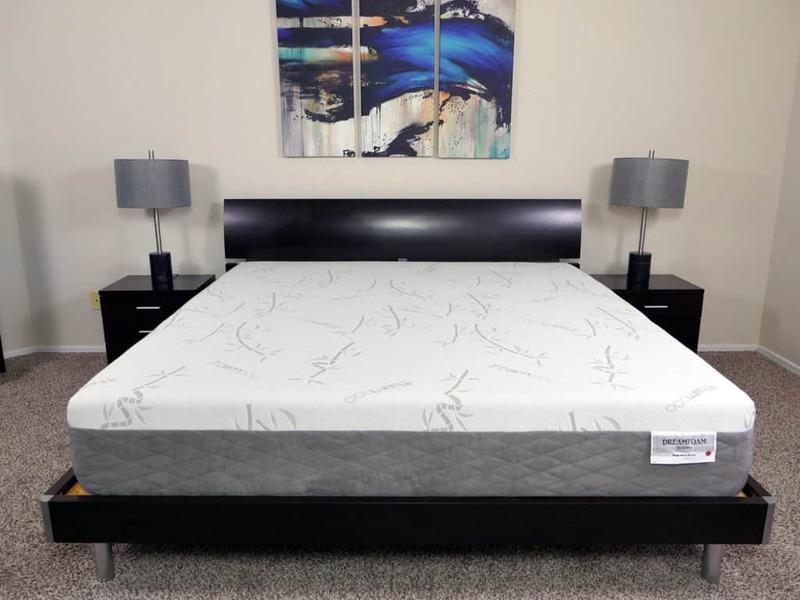 Want a memory foam mattress – as a memory foam mattress, the Ultimate Dreams supreme gel offers slower response times, low levels of bounce, minimized motion transfer, deeper sinkage and hug, and good pressure relief. You will want to be sure you’re a fan of these characteristics before purchasing this mattress. Want an impressive value – at $549 for a Queen size, this mattress is an impressively good value. As long as you are okay with the feel of memory foam, like the medium feel, and are not a hot sleeper, this mattress will suit your needs very well. For more information on the iPedic Sojourn Gel Memory Foam Mattress visit DreamfoamBedding.com. The Dreamfoam Bedding Ultimate Dreams supreme gel memory foam mattress offers an impressive value for the price point. Constructed with 4″ of 4.0 PCF density memory foam, this 12″ mattress offers a classic pronounced memory foam hug and contour. This means minimal motion transfer, low bounce, deeper hug, and great pressure relief. The only significant negative to this mattress is it can sleep slightly warmer for some sleepers and has a slower response time. That said, if you aren’t a hot sleeper and enjoy the feel of memory foam the Ultimiate Dreams Supreme mattress can be an excellent choice.